Is it over for Erika Jayne? It’s no secret that loyal viewers of The Real Housewives of Beverly Hills have been less than thrilled with how the latest season of the popular Bravo show played out. Between its multi-episode arcs about glassware and petty feuds involving tardiness, many fans feel Season 8 had little good storylines and was an absolute bore to get through. Now, word has it even one of its main stars is hoping to jump ship from the total snoozefest. 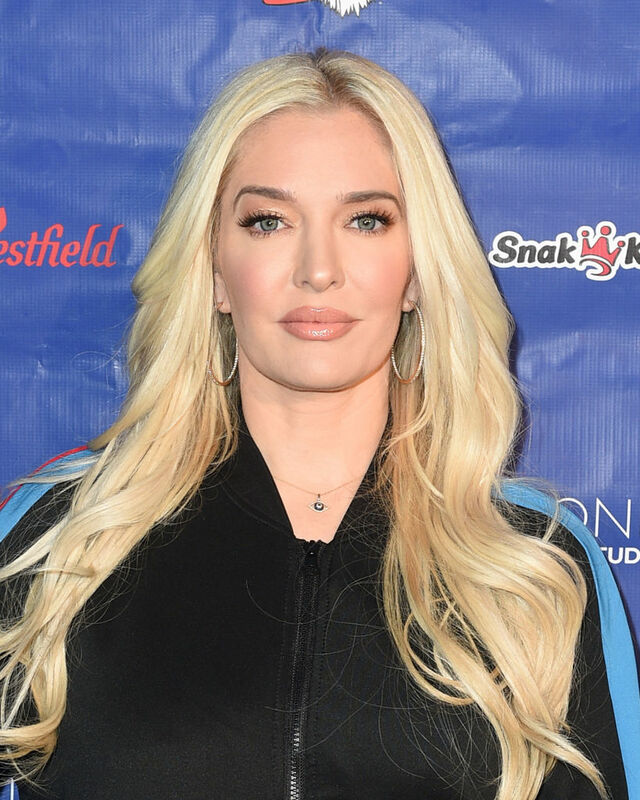 With fans looking to Real Housewives of Atlanta or Orange County to get their fix of drama, rumors are swirling that Erika Jayne — aka Erika Girardi — is quitting the series just after three season. What does this mean for the future of the show? It’s no secret among loyal viewers of The Real Housewives of Beverly Hills that the show’s eighth season has been anything but quality television. Between its multi-episode arcs about glassware and petty feuds involving tardiness, many fans feel the latest run was an absolute bore to get through. Now, word has it even one of its main stars is hoping to jump ship from the total snoozefest. With followers looking to Real Housewives of Atlanta or Real Housewives of Orange County to get their fix of drama, rumors are swirling that Erika Jayne — aka Erika Girardi — is quitting the series just after three season. Speculations over the major cast shake-up first came to light over the weekend when a tweet claiming Erika was ready call it quits with Bravo surfaced online. “Hearing that @erikajayne has quit #RHOBH and that a statement will be published after this season airs. Could just be a rumour, however after this season plus Reunion Part 1, I would not be surprised if this was true. And I can’t say I would care either, bye girl!” the tweet read. Erika has yet to respond to Celebuzz!‘s request for comment. While it’s unclear if the Pretty Mess author will be leaving the show, many fans believe she’s already on her way out. When the Season 8 reunion first premiered, most viewers thought the 46-year-old was cold and distant to her castmates and particularly snippy to host Andy Cohen. As for what actually happened? Oh, who cares? I’m as over it as Erika. Erika is so obviously over this thing, it was a little bit uncomfortable to watch. I have spent a lot of time with Erika and I have never seen her look so physically uptight or uncomfortable. She was not playing with Andy, talking about her book and thinking it was weird that her family hasn’t read it yet. (To be fair, my boyfriend has also not read it.) She was not there for Dorit [Kemsley] trying to bring Pantygate up again, she was not there for Andy saying she should duet with John Mellencamp, and she was not there for Lisa [Vanderpump] saying ad infinitum. A lot of fans have not liked Erika’s performance this season and this is not helping at all.